Wow! Your design, clustering, and shadows are incredible! Beautiful layout!! Love the heartfelt journaling to the kids. I love the photos being black and white with the large titlework moving your eyes over to the journaling. Beautiful page! So pretty Anita! Your black and white photos just pop with the bright colors. Lovely! Such beautiful, encouraging words to your kids!! I really love how everything is moved to one side to make room for your precious journaling. The bright colors you used are so joyful. Beautifully scrapped! 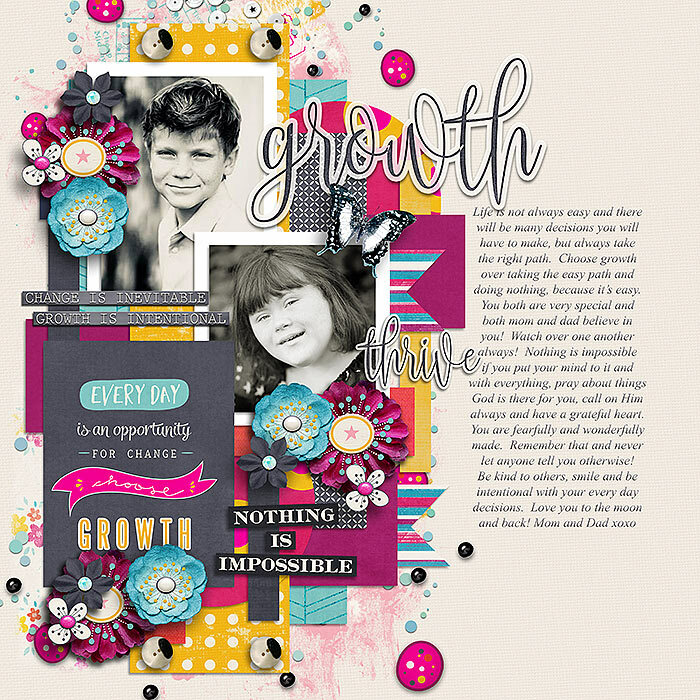 Love the journaling and the fabulous layering!